David Condon has inherited an opportunity — a once-in-ageneration chance to reform the Spokane Police Department. "It is my No. 1 issue. Make no mistake about it," says Condon, the incoming mayor of Spokane. "I've told directors of the other departments that it is my top priority. Everything is on the table." "We're going to have a new mayor, new police chief, new assistant chief, a new council. There's a tremendous opportunity before us," says Tim Burns, the department's civilian ombudsman. 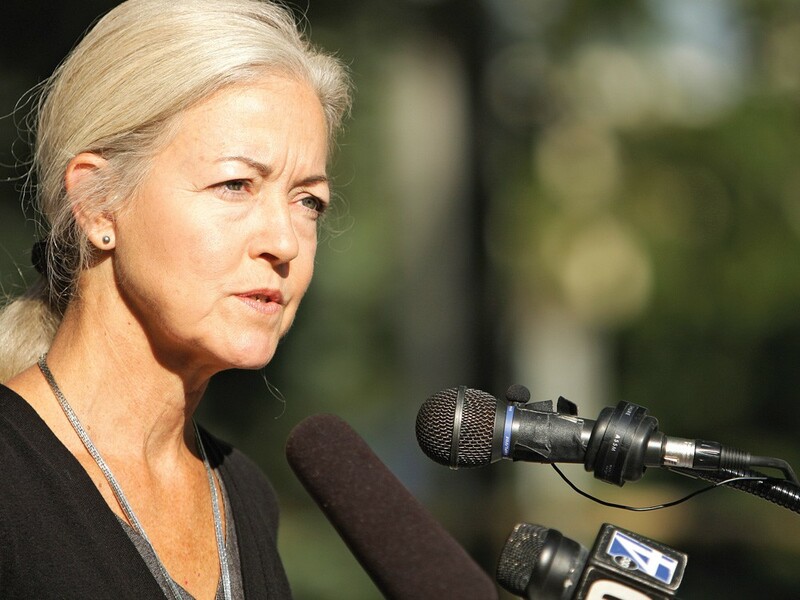 "As I told Mayor Condon, [outgoing Mayor Mary] Verner inherited an impending train wreck. 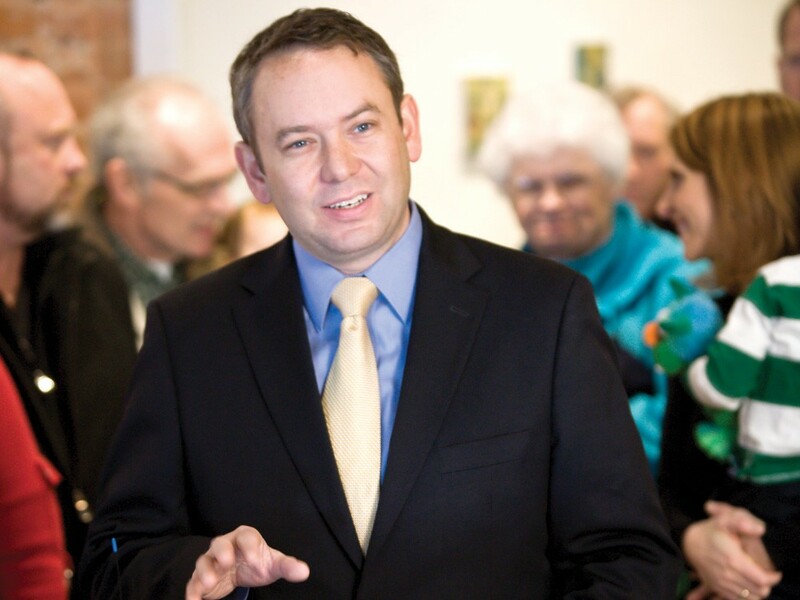 Mayor Condon has inherited an opportunity." "Once in a generation," adds Breean Beggs, a longtime advocate for police reform who is representing Otto Zehm's family in a lawsuit against the city. This fall, Officer Karl Thompson was convicted of using excessive force and lying to investigators about Zehm, who died in 2006 after being beaten and hog-tied by police. "The public understands broadly what went wrong," Beggs says. "It's totally the time [for reform]. This is the closest I've ever seen." In addition to new political leaders, there's new leadership coming to the police department as well, with the retirements of Chief Anne Kirkpatrick and her assistant chief, Jim Nicks. The Thompson verdict and subsequent invitation from City Hall for the U.S. Department of Justice to review SPD's polices have put the force on notice: Times are changing. The months ahead could see cameras installed on officers' uniforms, or perhaps the creation of a new position at City Hall — an elected city attorney. The police department could also be put under the purview of the sheriff. These are all potential answers to the one question everyone seems to be asking: How do you reform the police department? Tim Burns' office takes up one small corner in the old City Hall, which itself has become just another wing of River Park Square mall. Despite such unimpressive headquarters, Burns has until lately been Spokane's only hope to reform the police department. His office was created in 2008, after years of battling for independent oversight of the department. In the 1990s, a board of citizens was created to oversee the department but was quickly dismantled after it was found to violate state labor laws. After Zehm's death, there was enough momentum to create the position of an ombudsman — an official dedicated to investigating complaints against the police. Since the get-go, the ombudsman's office has been criticized for being toothless and ineffective. Critics cite the Police Guild's role in limiting the office's powers to simply monitoring internal investigations. More than a year ago, the City Council was stirred to action by a citizens group focused on police accountability and composed of people from the Center for Justice, the Peace and Justice Action League of Spokane and others. The result was an April 2010 ordinance giving the ombudsman power to independently investigate police conduct. After it was passed unanimously by the City Council and signed by the mayor, the Police Guild challenged it. The new power allowed the ombudsman to ask his own questions during internal investigations and issue his own reports regardless of what the chief or mayor said. The union called it an "unfair labor practice." A state arbitrator agreed, and the ombudsman was stripped of that power this summer. Burns wants it back. "Clearly, I wish we had it. When we had those tools, they benefited us," he says, adding that he never had a reason to use the expanded power in the time he had it. But it's still essential, he says. Ben Stuckart, who was swept into office as the new council president, is equally adamant that the power should be restored. "Right now, if the ombudsman brings a report to the mayor and the mayor says ‘nope' … the investigation gets quashed," he says. "He shouldn't be able to be quashed by anybody. I believe that needs to be brought back into the fold." "You need that investigatory authority," says Condon, voicing his support. "But I'm open to other ways it's done. On the west side, you have the coroner's inquest. … Is there a hybrid option? Absolutely." How exactly that power is restored is unclear. Some say it's a matter of going to the Guild during budget negotiations. Others say it will take a change to state law. But Beggs says it's much simpler. Over the past few weeks, he's been circulating a document he wrote called "Road Map for Reforming Spokane's Police Department." (pdf) In it, he details five points to empower the ombudsman, which include getting the Guild out of the ombudsman selection process and reinstalling the independent investigatory powers. Every change Beggs suggests can be implemented "by ordinance, amendment to the City Charter and/or administrative policy changes," he writes. "None are required to be bargained for under current Washington public employment laws once the current collective bargaining agreement expires; and, only a few provisions arguably must wait for that expiration." But one thing is clear, Beggs says: The ombudsman must remain an observer of police activity, not a disciplinarian. "It's the de-linking of [the ombudsman office] from discipline that's critical," says Beggs. But what good is an ombudsman without discipline? "It's transparency. When you see the same thing happening over and over and over again, then the command staff and the City Council and the mayor can say, ‘You know what? We've got to change this.'" As part of the advocacy group that was instrumental in creating the oversight position, Beggs says the goal was always giving the ombudsman freedom to investigate. "If the [ombudsman] can't go out and investigate, and really find out what happened, the feedback's less meaningful. And if they can't make recommendations, and do closing reports, it's less meaningful," says Beggs. "And it would be really good if the police union said, 'That's good for us, too. The more people know, the better they like us.' It seems like that should be the attitude." But the Guild has already expressed its displeasure with a powerful ombudsman, and it continues to do so. 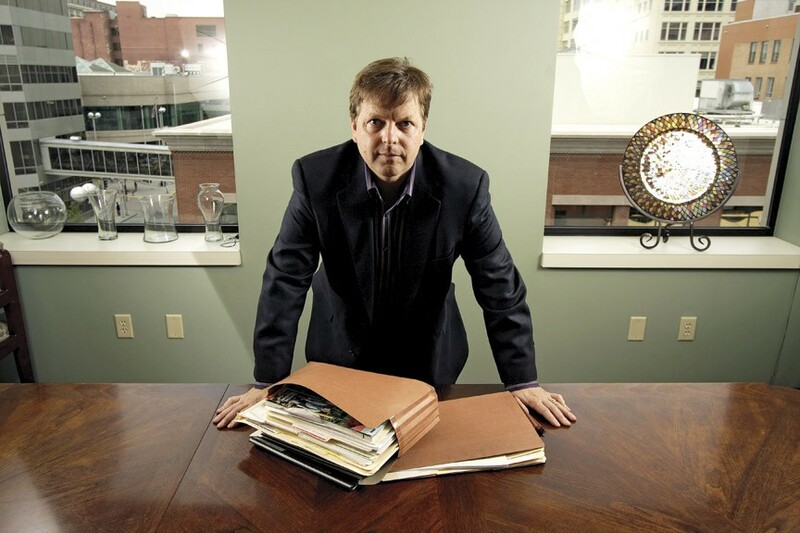 "I don't know if we would agree to do exactly what was done there" with the expansion of the ombudsman's powers, says Detective Ernie Wuthrich, the Guild's president. "I think we can work with the city on something." Asked for his interpretation of the recent election, Wuthrich says, "The elections turned out like they did just because of the mayor failing in the public opinion. … I think the Otto Zehm case had something to do with her losing the elections." He agreed that public opinion was also against the Guild, and that Condon used that sentiment to his advantage. "I think that's a fair assessment," Wuthrich says. "We just need to have some time and distance from the negative things that have occurred. It's unfortunate that they had to drag out so long. Five years is a long time." Condon says he's spoken with Wuthrich and that he's confident they'll have "a good working relationship." 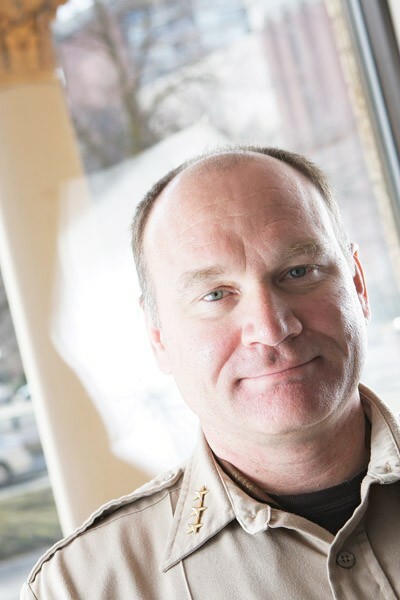 Spokane County Sheriff Ozzie Knezovich wants a camera on his uniform. Everywhere he went, a cell phone-sized machine would record his movements and interactions. "It would end a lot of controversy," he says. Burns also says body cameras would do wonders for police reputation. "It will build the trust and respect for the police department. This would be a monumental step in the right direction," he says. "It's like the MasterCard commercial — it's priceless." Not exactly. As Knezovich points out — and he's crunched the numbers — putting cameras on cops in both the SPD and his agency would cost up to $1.8 million. In an era of austerity and shrinking municipal budgets, scraping together the money to fund the cameras could be difficult. "It's a budget risk issue," says Condon. "The issue is the cost. … But I'm looking at this year's budget to see if it is indeed an option. I've talked to the Guild about it." He's also talked about it with Scott Stephens, who will likely become acting chief when Kirkpatrick retires on Jan. 2. "We are underfunded," says Stuckart. "We can have a problem with process … and we can always do better. But we have 100 fewer cops than Tacoma, which is similarly sized. That affects morale. That affects cops on the street." Burns says the department can't afford to not buy the cameras. "On the most basic rudimentary level, this is Risk Management 101," he says. "Video clearly played a significant role in the federal trial that just occurred. … I will aggressively pursue the need for body video cameras. … We cannot move forward without having the body camera." Spokane doesn't have to look far for examples: The Airway Heights Police Department has been using the cameras for two years. "They're a really good tool," says Airway Heights Sgt. Robert Swan. "It's an unbiased witness. It's not the officer saying what happened, it's not the person saying what happened." He says that the cameras have reduced the number of demeanor complaints against his officers — not only do the cops act better, he says, but so do those they're confronting. "When people are being recorded, they tend to act better, in a different way," Swan says, adding, "Besides, what do you have to hide?" In the last few years, the city attorney's office has gotten almost as much public scrutiny as the police department. 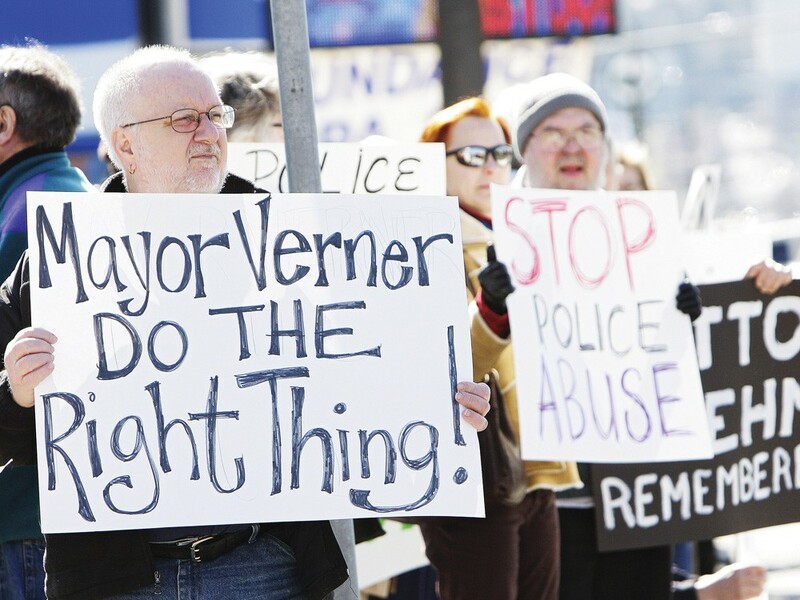 In fact, asked what reforms she made at the police department during her time in office, Mary Verner included in a written list changes she made to the legal department. Though she doesn't say so, the changes she made appear to stem from the actions of one assistant city attorney in particular: Rocky Treppiedi. From her order to "not to automatically file countersuits" to her direction to "not to show up personally at [a] scene of critical incident," Verner was reining in practices attributed to Treppiedi. During his campaign, Condon repeatedly said he would "immediately" fire Treppiedi when he took office. Once he won, Condon said he had "a lack of confidence in the legal opinions of Rocky. ... It would be very difficult for me to maintain his employment at City Hall knowing what has been made available to me." Like Verner, Beggs doesn't mention Treppiedi by name, but in his "Road Map" he recommends a big change to legal department by creating an elected city attorney. Currently, Seattle is the only city in the state with such a position. "The legal department has a huge influence on decision-making at the city," Beggs says. "If it's the voters who are essentially [choosing an attorney] every four years … that's one more check and balance." Seattle has had an elected city attorney since 1869, when the city was founded. Pete Holmes currently holds the position. Since taking office a couple of years ago, Holmes has not always seen eye to eye with the mayor. He blocked a major transportation initiative — "the deep-bore tunnel" — championed by the mayor. He says he stopped plans to construct a $200 million jail that people had said was unavoidable when he took office. "It's not unlike how counties elect their prosecutors," Holmes says of his office. "When I charge police officers with assault, the mayor and the council may not agree. But that's one thing I decide." Current City Attorney Howard Delaney would not give an interview for this article. But through the city's spokeswoman, Marlene Feist, he wrote, "The appointed city attorney answers to the mayor each and every day and can be removed without cause. An elected official — barring an unlikely citizen recall — would be answerable to the public only every four years." Delaney also questioned who an elected attorney would represent. "The corporate entity of the city as led by the mayor and council (as we do now)? The people directly rather than through their elected representatives (and how would we assess the people's desires)? The opinions of the city attorney him/herself, since he/she would be elected to represent the people?" But Holmes says it's not that confusing. "It's having an independent legal officer acting in the best interest of the city, not in alliance with political faction," he says. "We can choose an attorney whose temperament and judgment more closely reflect the will of the voters. Ultimately, that's who we're all beholden to." Condon says he doesn't have a judgment on the idea yet, other than that it would take some heavy lifting to remake the legal department. "It would have to be a completely different office. Right now they serve at the pleasure of the mayor," he says. "My first inclination would be no. … But I am a person who thinks a closer connection to the voters is good." "If nothing else, they certainly should have the debate, they should have that discussion," says Holmes, who added that he's willing to come to speak to Spokane officials about his position. "Maybe it's not the best thing for Spokane, but it's worked great over here." This summer, in Bainbridge Island Police Guild v. City of Puyallup, the state Supreme Court ruled that internal investigations performed by the state's law enforcement agencies should not be hidden from public view. In the 8-1 decision, four of the eight consenting justices argued that the name of a police officer accused and cleared of any wrongdoing should be redacted, or blacked out, but that the investigation should still be made public. The other four, including Chief Justice Barbara Madsen, said that the full document — including the officer's name — should be released. According to Feist, the city spokeswoman, SPD has started releasing "releasing redacted unsustained investigatory files in response to public records requests." In other words, all internal investigation files are now public records, a big change from how the city had done things for years. But, like the body cameras, funding is an issue. "The Supreme Court said we can do it," says Stuckart. "The problem is there's a huge backlog of reports. It used to be, ‘Well, we can't release the report.' Now it's, ‘Well, it's going to take three to six months.' That's going to be one of my priorities: how we release reports promptly to the public." Stuckart says it's primarily an issue of closure and, again, a way to build trust for the police department. When The Inlander looked into this issue more than a year ago, we found that between 2005 and 2009, Spokane police investigated 55 complaints of excessive force. In only one case did internal investigators sustain the allegations. The other 54 files were sealed from public view. No one could see if the police thoroughly investigated their own. Now we can. When Anne Kirkpatrick announced she was retiring Jan. 2 — along with her assistant chief, Jim Nicks — Sheriff Knezovich quickly came forward with a solution. He'll take over. "We share the same building. We share the same records. We share the same property room. We share forensics," he says. "Really the only thing we haven't combined is doing business together." Knezovich, long an advocate for regionalizing law enforcement, points to Louisville, Las Vegas and Indianapolis as urban areas that combined law enforcement services successfully. In Louisville's case, the merger of the Jefferson County Police Department and the Louisville Division of Police in 2003 was done in an effort to create cheaper, more efficient service. Recently, the city's been ranked as one of the safest, large cities in America. "If you take a look at it, nationally this is a trend," Knezovich says, adding that it also happens closer to home. "King County has 18 contracts [to provide law enforcement]. Here locally we have contracts with everywhere but Cheney, Airway Heights, Liberty Lake and [Spokane]. It's not a foreign concept in the state nor here in the city." Condon didn't rule out the sheriff's offer. But he added that he was looking at every option available to him. Verner says she looked into regionalizing police forces when she first came to office but that it hasn't been "thoroughly analyzed." She added that a recent report conducted by an Eastern Washington University professor showed no cost savings by regionalizing services — one of Knezovich's main talking points on the matter. "More troubling to me is that [the] sheriff's office is a partisan elected office," Verner says in an email. "Sheriff Knezovich, to retain his job, engages in party politics. [We need the] head of law enforcement to be nonpartisan and focused on serving all citizens equally through improvements to the department." Knezovich, a Republican, says that the voters keep him accountable, but he agrees that it's problematic for sheriffs to hold a partisan position. "Quite frankly, most sheriffs would want that changed. The last time sheriffs brought this up internally [about four years ago], 36 of 39 sheriffs voted to change it." Don Pierce heads the Washington Association of Sheriffs and Police Chiefs. He's friends with "Ozzie" and "Anne." And he's hopeful about Spokane. "It's a time of renewal in a sense that there's a new mayor who will chart a course for the city, including the police department," he says. "The most important decision the mayor will make, at least in the first couple of years, is who he will choose to lead the police department." Pierce doesn't fault Kirkpatrick — not for the announcement, early in her tenure, that she would only be in Spokane for five years, nor for the handling of the Zehm case. "Anne accomplished a lot of things. I think she did a phenomenal job," he says. "She tried to [reform the police department], but she had the pall of Otto Zehm hanging over her." Condon says Verner launched a nationwide search for a chief, and that he will likely keep Scott Stephens on as his acting chief. According to a police department newsletter, Stephens has been with the force since 1984, when he first became a cop. He has worked in many divisions on the force, including explosive disposal, the drug unit, major crimes and internal affairs. He became a major in 2009 and has overseen various divisions of the department. Condon wouldn't share any information regarding his search for the next chief other than to say all options are on the table. When he created his "Road Map," Beggs saw it as a policy document outlining steps officials can take to reform the police department. At the same time, he also penned a "Public Safety Bill of Rights," (pdf) a hedge against failure by these public officials. It details the same goals his "Road Map" does — strengthening the ombudsman, an elected city attorney, restricting Taser use by officers, updating the department's "use of force" policy, and more — but in the form of changes to the city's charter. This "Bill of Rights" could be put on the ballot and voted on by the people, circumventing the Guild, the mayor and the City Council. Beggs sees many ways to reform the police department. But not everyone is as hopeful about the future of Spokane. Tim Connor's office is on the top floor of the Community Building — the epicenter for progressive activism in Spokane. With graying hair, he looks a bit like a less-angular version of Vice President Joe Biden. More than 30 years ago, in June 1981, Connor wrote an article in the now-defunct Spokane Magazine called "Violent Cops?" Written when Otto Zehm was only 12 years old, the article argued that there was "a cadre, a small minority of cops getting excessive force complaints, but the police department was uninterested in doing anything about it." He really hasn't seen anything change since then, he says. He helped build the ombudsman's office, only to see its powers watered down. He remembers having lunch with Verner early in her term as mayor. "As soon I started talking about cops, she turned off," he says. "She just looked down at her food." His frustration and despondency are palpable. Asked what can be done now to reform the police department, or to strengthen the ombudsman's office, he doesn't offer an answer. "We've lost the things that he needs to be a credible police ombudsman," Connor says. "Another question is: Does it matter?" He says the request to the Justice Department to investigate the police department "is evidence that we, as a community, haven't been able to fix our own problems." The request, made by Verner and supported by Condon, has not yet received a response from the federal government, and some speculate it could be months, even years, before any movement is made. After decades of watching police conduct, Connor says he realizes it's a problem in the culture of the police department. He calls it a "cancer of deception." "What Zehm showed, how police acted on the stand, how police acted in the courtroom [saluting Thompson when he was taken away in handcuffs]. We saw that and said, 'This is deeper than we thought,'" he says. "They are resistant to accept any accountability. Solidarity is more important than what the public thinks, than the criminal justice system." Since he wrote his articles in 1981, Connor has watched 10 mayors come and go at City Hall. The new year will see a new mayor installed. But late Thursday, incoming Mayor Condon announced the members of his transition teams, the people who will help him define his policies at City Hall. The questions for his "Public Safety" team include how he should pick a new chief, if a regional policing model is appropriate for Spokane, how best to oversee the police and how other cities have reformed their departments. At the end of the list of Condon's "Public Safety" team, alongside the names of former Spokane Police Chief Roger Bragdon and former U.S. Attorney Jim McDevitt, is a name that might have once surprised Connor: his own. As the mix on Condon's task forces underscores, it's going to take people from different points of view to create lasting change within the police department. "People have gone to the extremes of either side: All the cops are bad, or all the cops are good," says Stuckart. "We need to find common ground, where we all can agree."